One Of A Kind Non-Stimulant Based Pre-Workout Made To Increase Vascularity Throughout Your Workout And For Hours After! 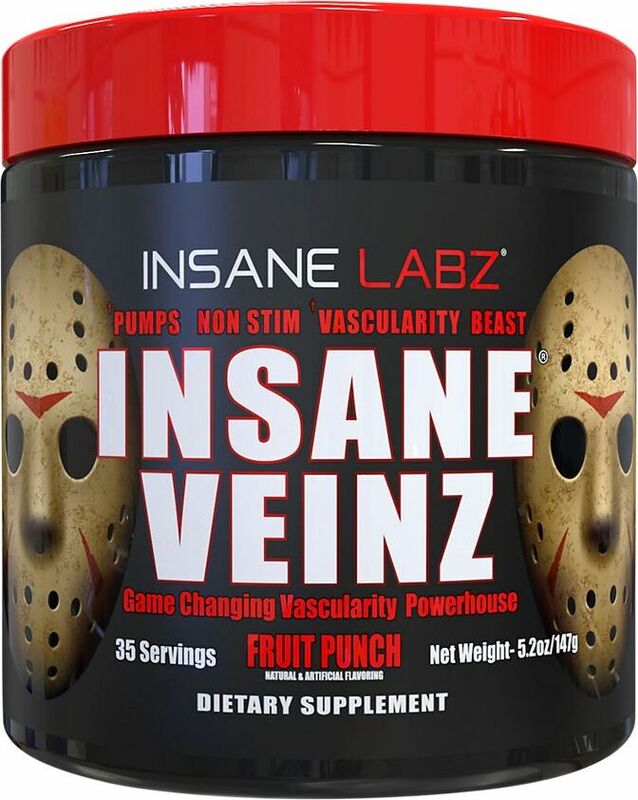 Insane Veinz is a one of a kind non stimulant based pre workout made to increase vascularity throughout your workout and for hours after. There is nothing like Insane Veinz on the market and Insane Labz has raised the bar for all other companies to try and follow. 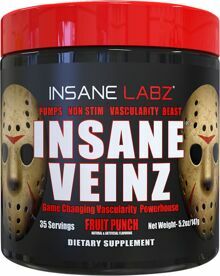 Insane Veins can be mixed with Psychotic or any other stimulant based pre workout for that matter. If you want Vascularity of a lifetime Insane Labz has made the product for you. Buy it now because this stuff goes fast!